You… a successful treasure hunter? Absolutely yes! If you want to find all the treasure you can handle — gold, silver, coins, jewels or anything else you call treasure — real fast and win coveted trophies in competitive treasure hunting… And if you want to find all this treasure without spending a fortune on expensive equipment or books and courses, using up all your free time studying and trying to put complicated rituals into practice in the field, then: THE SUCCESSFUL TREASURE HUNTER’S ESSENTIAL DOWSING MANUAL was written for you! This ESSENTIAL MANUAL is a revolutionary new guide to finding treasure, which shows how anyone — beginner or seasoned professional — can easily use the skills they probably never realized they had, to locate treasure — wherever it lies hidden. And, just as importantly, how to pinpoint and recover that treasure fast. Wait. Aren’t there a heap of dowsing guides and websites free on the internet? Yes! There are over 200,000 dowsing or divining websites as well as over 300 books for sale on Amazon. If you have a few years to spare, you could trawl through some of that stuff. You may even eventually learn how to dowse for treasure. But chances are you won’t because there are so many different ideas out there on how you can or can’t, should or shouldn’t dowse. And some of them are real mind-boggling. For instance, will knowing how to dowse urine or holes in cheese help you find treasure? You bet, it won’t! When I was trying to learn to dowse for treasure, I ran into the problem of information that was sometimes inaccurate and often overwhelming. And I don’t mind admitting I was so frustrated, I almost gave up. Then I came across Jim Longton, Britain’s most successful treasure dowser, who showed me the way. It was so ridiculously easy that in no time at all, I was digging up treasure all over the place. You can learn to dowse today and be ready to find treasure tomorrow, for I have condensed everything I have learned into this fact-packed manual on the practical use of dowsing to find treasure. You’ll be amazed how easy dowsing for treasure really is. And even more amazed when you start digging up all that gold and silver that’s out there, just waiting for you to find it. Since learning to dowse for treasure, I have been truly amazed at the results. In the previous 25 years that I was involved in recreational treasure hunting, although I had found a number of interesting and valuable coins and artefacts, I had never found REAL treasure. In no time at all, I was digging up gold and silver, which had to be reported under the UK Treasure Act. Imagine the kick you’ll get from going on a hunt with a large bunch of other treasure hunters and snatching a magnificent gold finger-ring out of the ground in ten minutes flat. Right under their noses. Imagine the kick you’ll get from pulling a magnificent gold pendant out of a field that had been ‘worked out’ on an organized hunt. It happened to me and I’ll show you how you can do it too! THE SUCCESSFUL TREASURE HUNTER’S ESSENTIAL DOWSING MANUAL shows you how to master dowsing technology to find treasure fast, and avoids filling your head with irrelevant information you CAN DO WITHOUT. I concentrate on getting you dowsing and finding treasure –right now! After just a few days with THE SUCCESSFUL TREASURE HUNTER’S ESSENTIAL DOWSING MANUAL you will be amazed at how exciting dowsing for treasure can be! And once you see how IMPRESSED your family, friends and even strangers are when they hear about the valuable treasures you’ve dug up, you will be well and truly HOOKED! The ESSENTIAL MANUAL is written CLEARLY and CONCISELY to bring you FAST RESULTS that will keep you engaged and excited about your developing skills. You are about to enter a NEW ERA of TREASURE HUNTING. 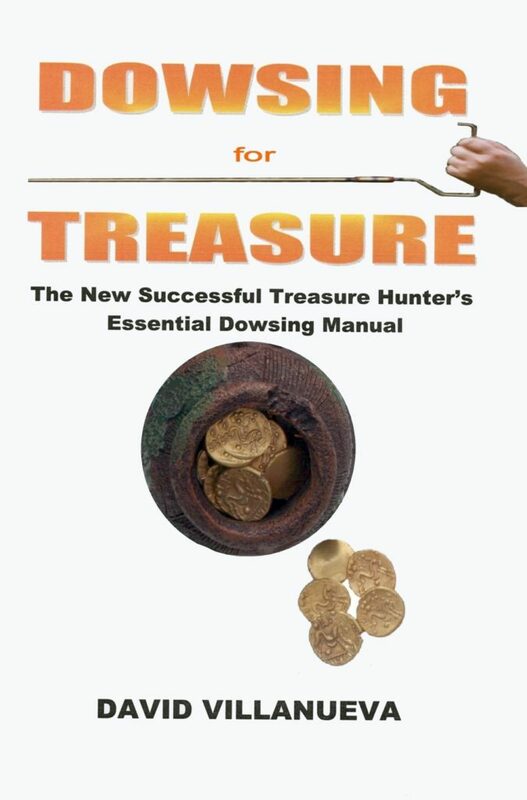 I have not only written THE SUCCESSFUL TREASURE HUNTER’S ESSENTIAL DOWSING MANUAL I’ve lived every bit of it. I have benefited so much from dowsing for treasure, it really has changed my life. And while the ESSENTIAL MANUAL has only been created a short time, reports are coming in that others are having their lives changed after learning this remarkable skill. You owe it to yourself to get this ESSENTIAL MANUAL. This is a rare opportunity to learn a skill that will help you for the rest of your life — the skill of finding treasure the fastest way I know. Anyone can quickly and easily learn the methods and techniques in THE SUCCESSFUL TREASURE HUNTER’S ESSENTIAL DOWSING MANUAL. They are simple and even fun. Why not get this ESSENTIAL MANUAL right now? I am so confident that you’ll benefit from THE SUCCESSFUL TREASURE HUNTER’S ESSENTIAL DOWSING MANUAL that I’m offering a no risk, 100% no quibble, refund, guarantee. If for any reason you aren’t delighted and satisfied with your purchase, just contact me within sixty days and I’ll return all your money — no questions asked! 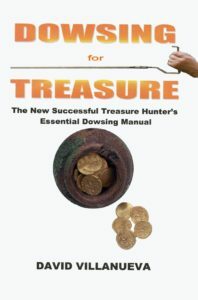 So you don’t have to decide whether THE SUCCESSFUL TREASURE HUNTER’S ESSENTIAL DOWSING MANUAL is right for you now. You can try it out for two months at my risk. If it doesn’t help you find more treasure fast, without spending a fortune. If it doesn’t tell you everything you need to know about dowsing for treasure — all in one place. If you don’t agree that dowsing for treasure is the nearest thing you’ll ever get to a free lunch. Or if you just don’t like it. I’ll give you your money back. You cannot lose. “It’s taken me a while but I thought I’d write to you to let you know of my experience after reading your book which I purchased last year. After quickly reading through it I thought how interesting it seemed, but reserved judgement until I could put something into practice. It wasn’t until two weeks later that I remembered that I hadn’t “had a go” at the general idea, so the night before our club search I got the map out and looked for a pendulum. I couldn’t find anything suitable so picked up the first thing from my desk tray which happened to be two safety pins. I hooked one into the other and let the other pin “dangle” to give some kind of feedback. I was amazed to find that I received a reaction from a certain part of the area on the map. * How you can easily make all dowsing tools you’ll ever need, mainly for free! * Simple methods for using dowsing tools to save time on fruitless searching and find treasure — fast! * How you can locate treasure anywhere in the world, without leaving home. * How you can easily recover all the treasure that your dowsing locates in a number of different ways. * How to search a site thoroughly so you won’t miss anything. * How a camera will show you precisely where precious metal is buried. * How to find places rich in treasure. * How to check out any site for treasure without having to ask anyone first. * How you can get search permissions. * How to deal with the law when you find treasure. * How to get someone else to do the dowsing for you. * How dowsing improves metal detector performance and saves you money by making a lower specification model perform like a top-of-the-line machine.